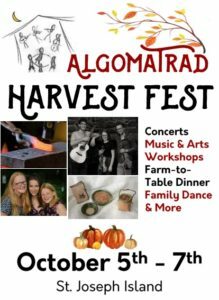 AlgomaTrad » First Annual Harvest Fest – Music, Dance, Food, Heritage Arts, and Fun! 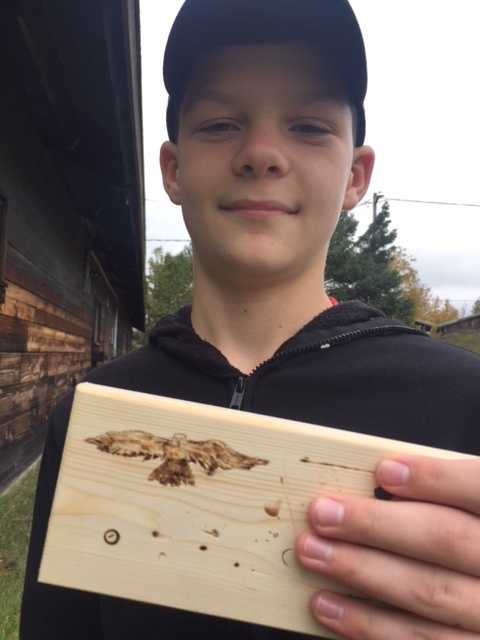 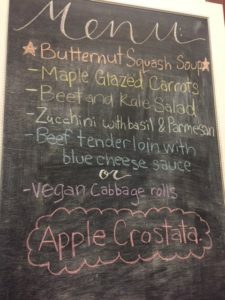 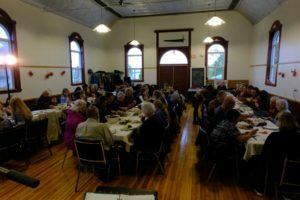 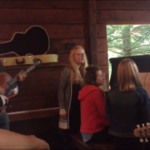 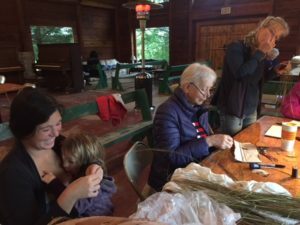 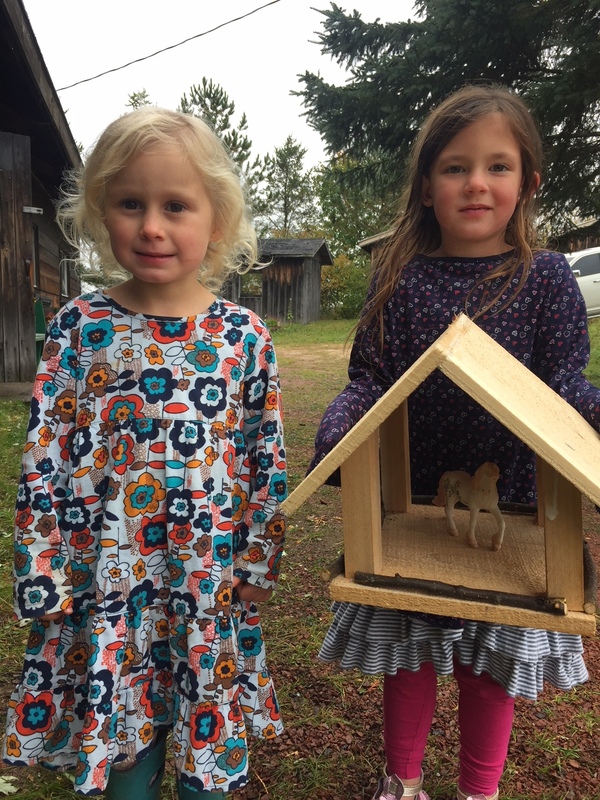 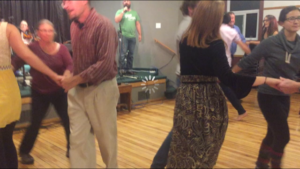 First Annual Harvest Fest – Music, Dance, Food, Heritage Arts, and Fun! 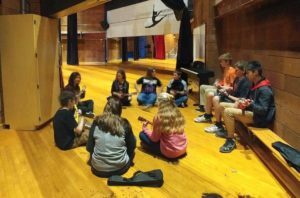 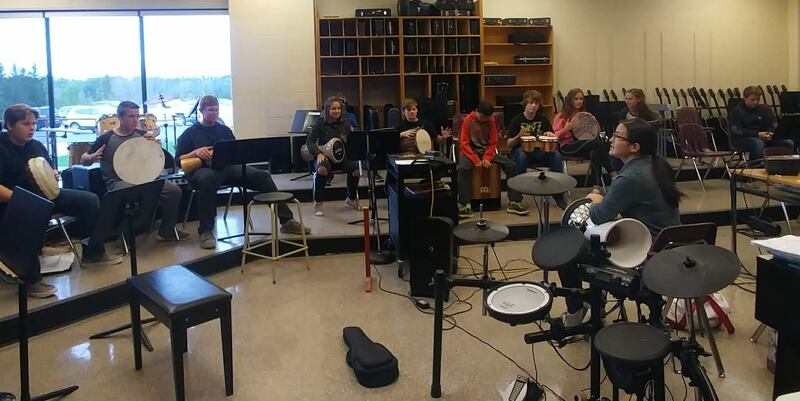 On Friday, percussionist and Champion stepdancer Ariel Hyatt and her sister,ukulele player/singer/composer Eshel Hyatt made presentations to classes at Central Algoma Secondary School (CASS) and facilitated workshops with the students in ukulele, percussion, and stepdance. 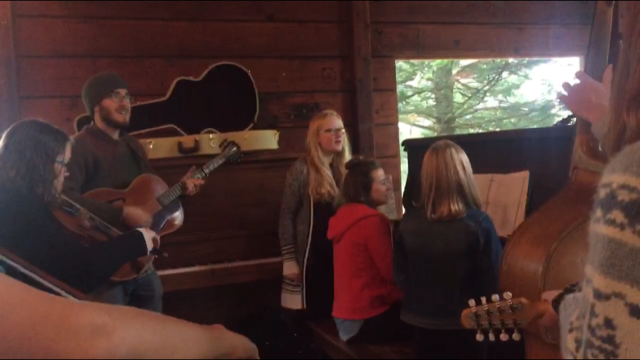 Meanwhile, art students from White Pines Collegiate Institute in Sault Ste. 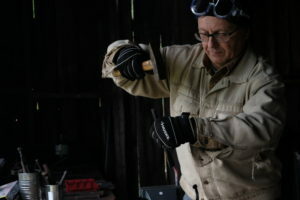 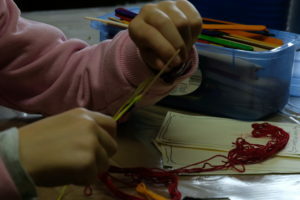 Marie took part in several different workshops offered at the AlgomaTrad Centre on the F&G Line on St. Joseph Island including blacksmithing with Denis Frechette, felting and fibre art with Mireille Gagnon-Moes, and blockprinting & embroidery with Miranda Bouchard of Thinking Rock Community Arts. By 3:00pm, registrants for the weekend workshops with the aforementioned artists arrived at AlgomaTrad Centre. 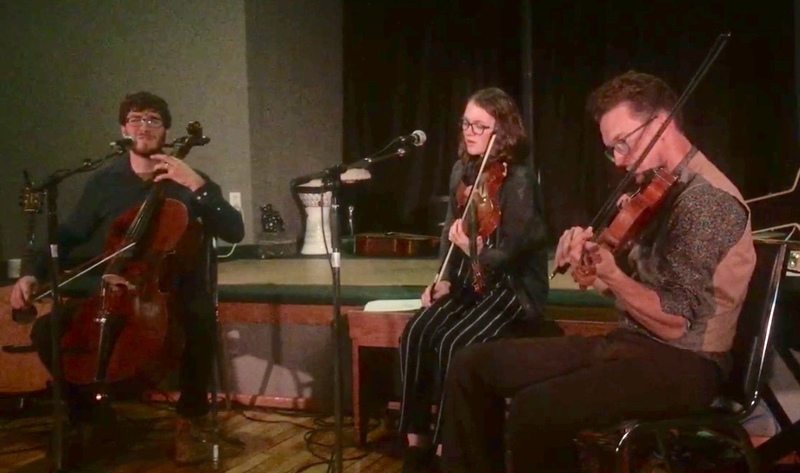 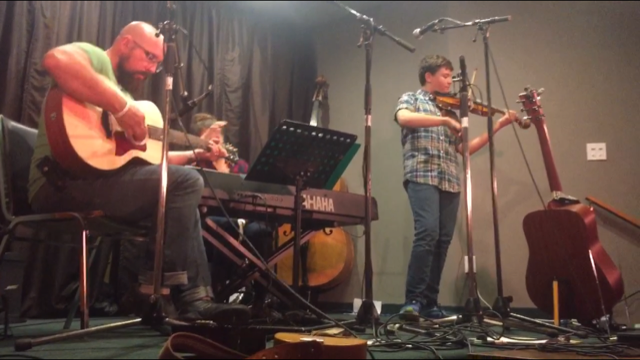 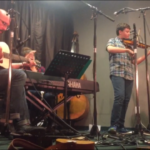 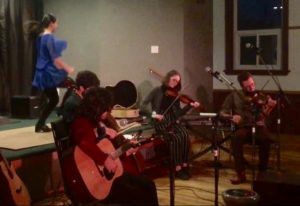 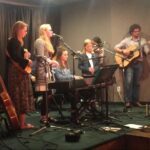 The evening concluded with a concert at the Old Town Hall in Richards Landing, featuring Ariel and Eshel Hyatt and Zachary Schryer Lefebvre, Benoit Schryer Lefebvre and Áine Schryer O’Gorman of The O’Schraves in a concert focused on professional youth performers. 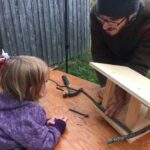 On Saturday a full slate of workshops for registrants of all ages continued at the AlgomaTrad Centre. 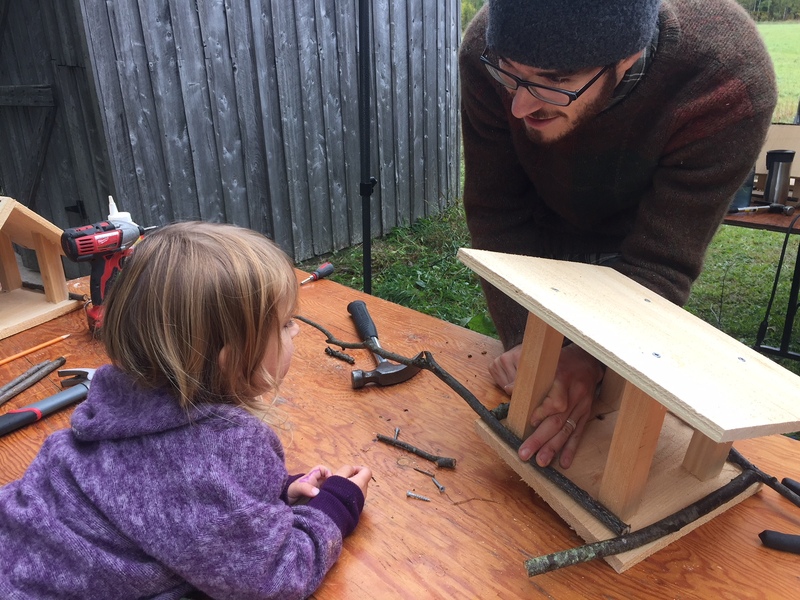 Blacksmithing, fibre arts, and Thinking Rock’s arts workshops were joined by workshops in basketmaking with Terryl Ryan, sweetgrass/birch bark basket making with Tracy Stevens, birdfeeder building and woodburning with Zachary Schryer Lefebvre, a community crochet project with Hollie Lefebvre, fiddle and piano workshops with Paul and Melika Lemelin from Chelmsford, percussion and stepdancing with Ariel Hyatt, ukulele with Eshel Hyatt, and tin whistle and Highland piping with Pat O’Gorman. 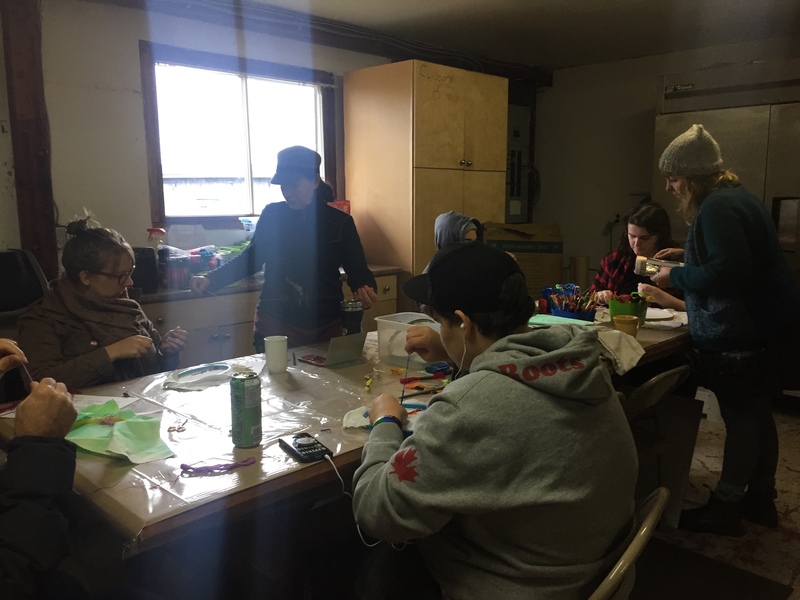 AlgomaTrad founder and co-artistic director Julie Schryer kept everyone warm and on-time and provided lunches for everyone on site. 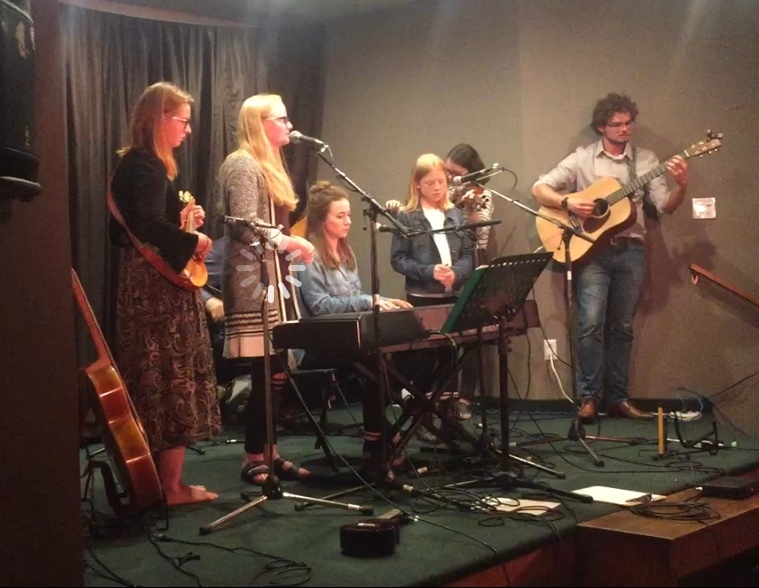 Workshop participants were also treated to rehearsals by the performers for the evening concert, their music and voices reverberating beautifully in the lovely acoustics of the Dining Hall. In the meantime, an incredible Harvest Farm-to-table meal was being prepared by local chef Jane Wildman, with Suzanne Lambert and Megan Byman.At 5pm, anyone lucky enough to get a ticket to this delicious sold-out dinner headed down to the Old Town Hall in Richards Landing. 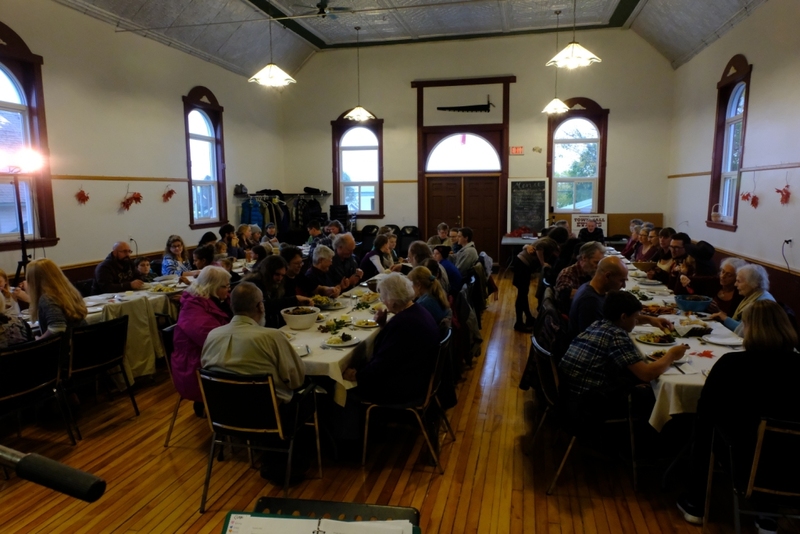 The gourmet meal was followed by a showcase of local and not-so-local youth performers, including singer Justice Stephney, multi-instrumentalist and singer Elliott Nicholson, Canadian 12 & under fiddle champion Lucas Candelino, and The Wildman Sisters, Emma, Grace, and Abbie, whose heart-rending harmonies were eventually supported by allthe youth showcased as well as the youth members of The O’Schraves. 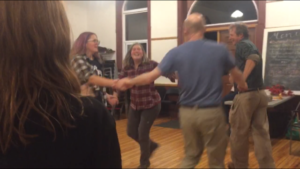 Once the Showcase was completed, tables and chairs were pulled to the side and an AlgomaTrad Community Dance began, with music by Paul and Melika Lemelin, Lucas Candelino, and members of The O’Schraves. Julie Schryer and Paul Lemelin shared calling duties as dancers were entertained with a mixture of contras and squares, including several Québécois square dances. 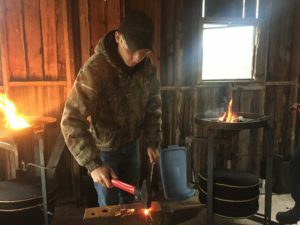 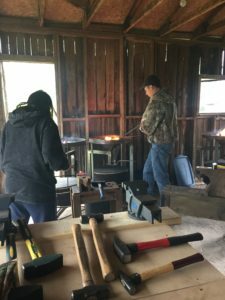 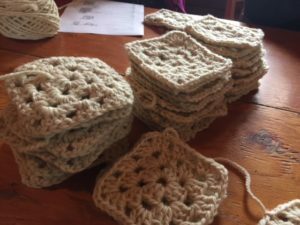 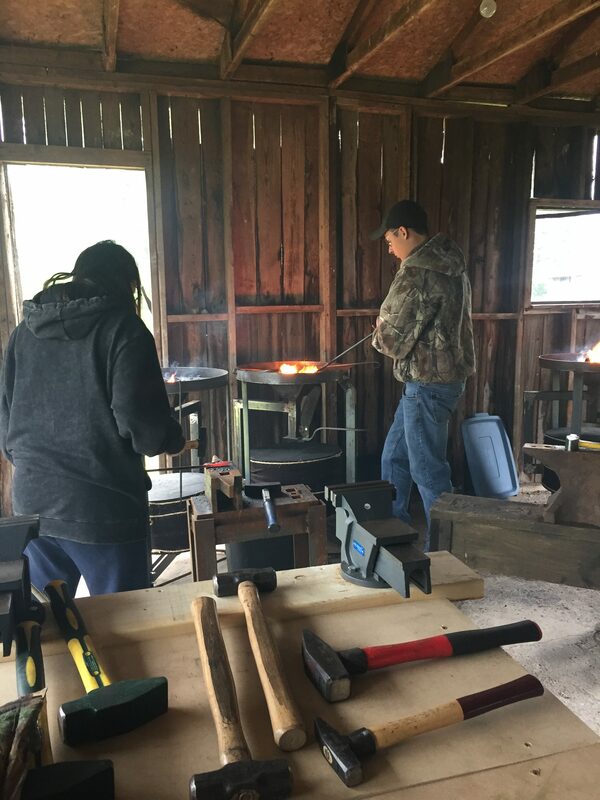 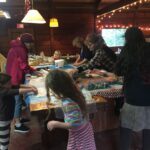 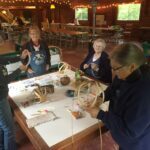 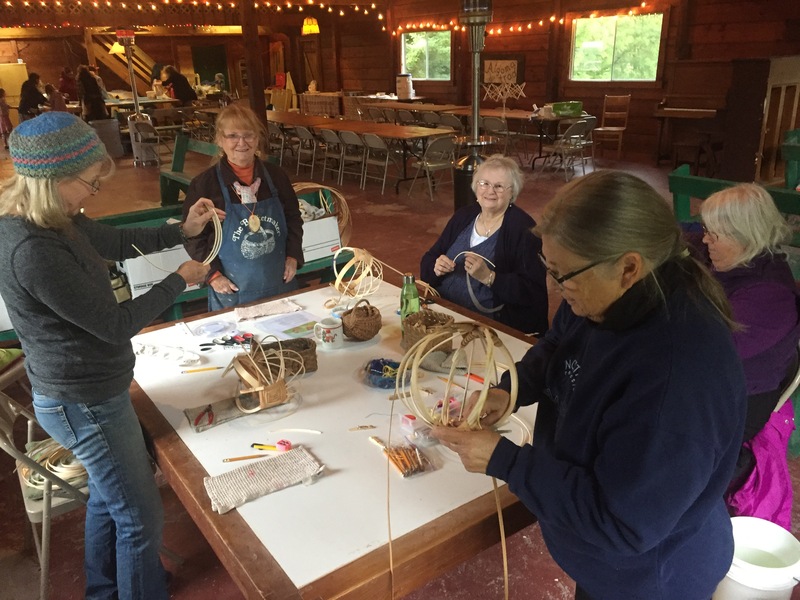 The Harvest Fest weekend wrapped up on Sunday morning back at the AlgomaTrad Centre with weekend registrants finishing up their projects with Denis Frechette in the blacksmith shop and Terryl Ryan at the basketmaking table. Approximately 200 workshop registrants, student participants, and concert and dance goers took part in this amazing weekend. 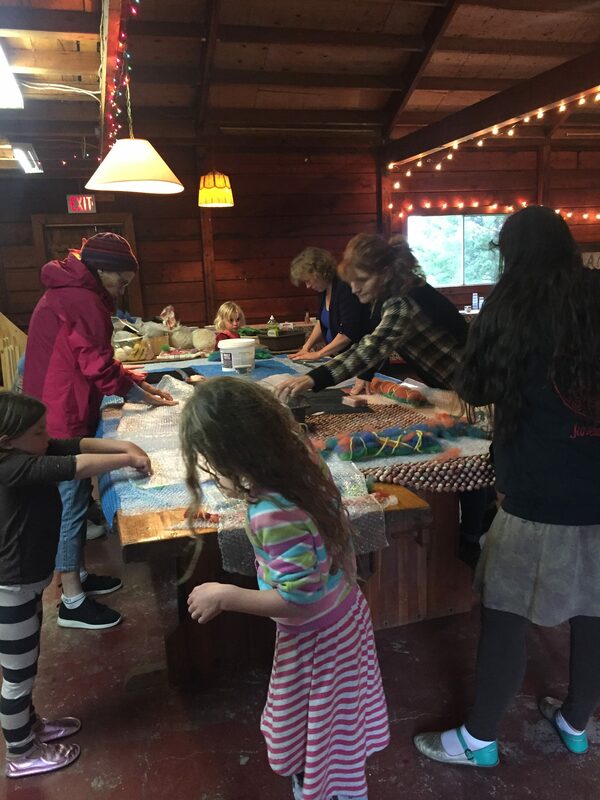 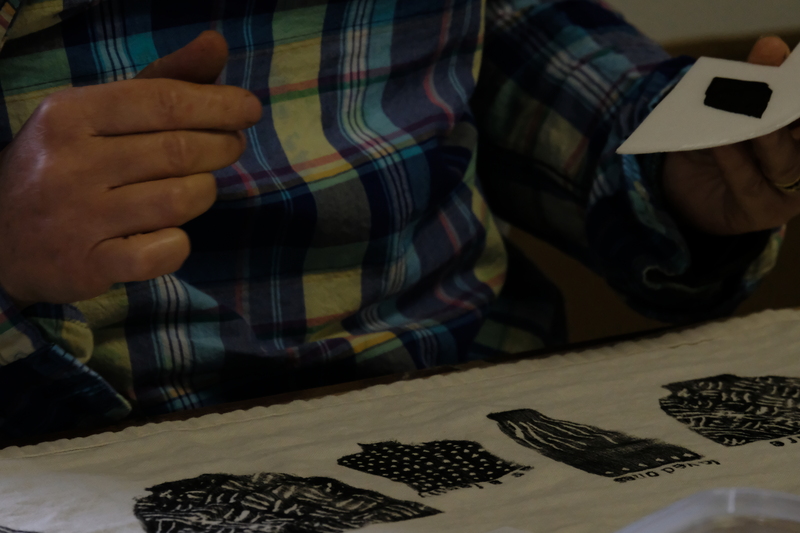 AlgomaTrad would like to thank all the wonderful artists for their amazing abilities and hard work, and all the volunteers, no matter if their work was small or large, without whom a weekend like this could not happen. See you in 2019!! More photos from the weekend below! !